Abrasive Disc Caulking / Coating / Adhesive Removal from Concrete Surfaces. Need to expose the bare concrete . . . Fast? You've tried Abrasive Blades? Wire Wheels? 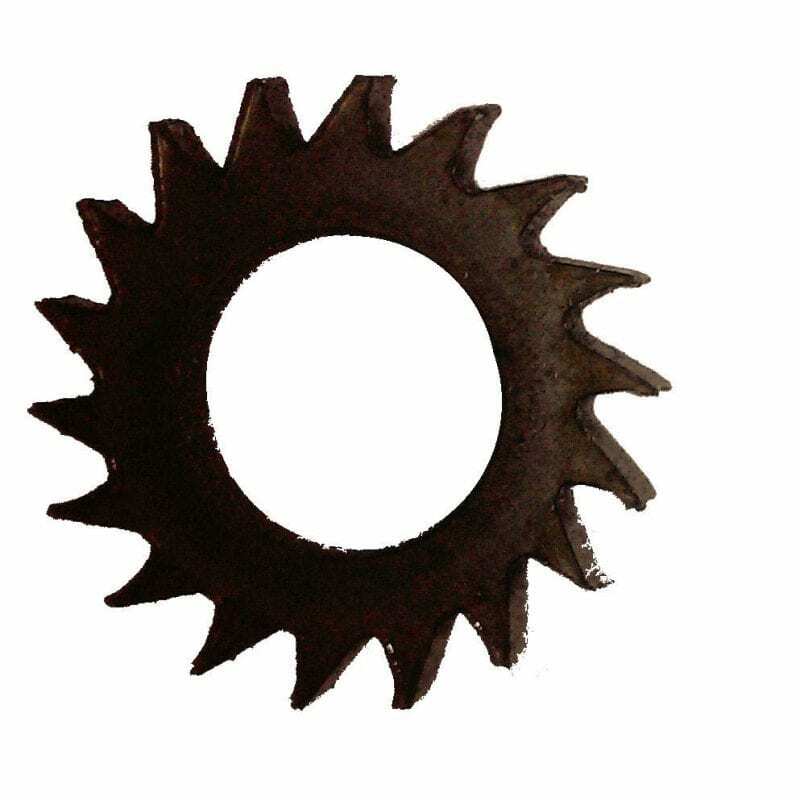 Manual and Power Scrapers? Similar Coatings Removal Discs? Multiple layers of abrasive grains cut through adhesive-type coatings faster while discarding the adhesive build-up ~ to resist disc loading. Removes the adhesive-type coating then grinds the concrete surface. Non-loading Swirl Pattern design, with Cooling Vents . . . Combined with High Quality, Long Lasting Silicon Carbide . 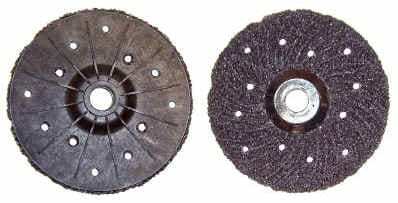 . . provides a Superior Long Lasting Wheel ~ “Without Clogging”. Unique Grinding Disc . . . Complete with a Heavy Duty Plastic Backing Pad . . . makes the Disc firm, yet flexible. 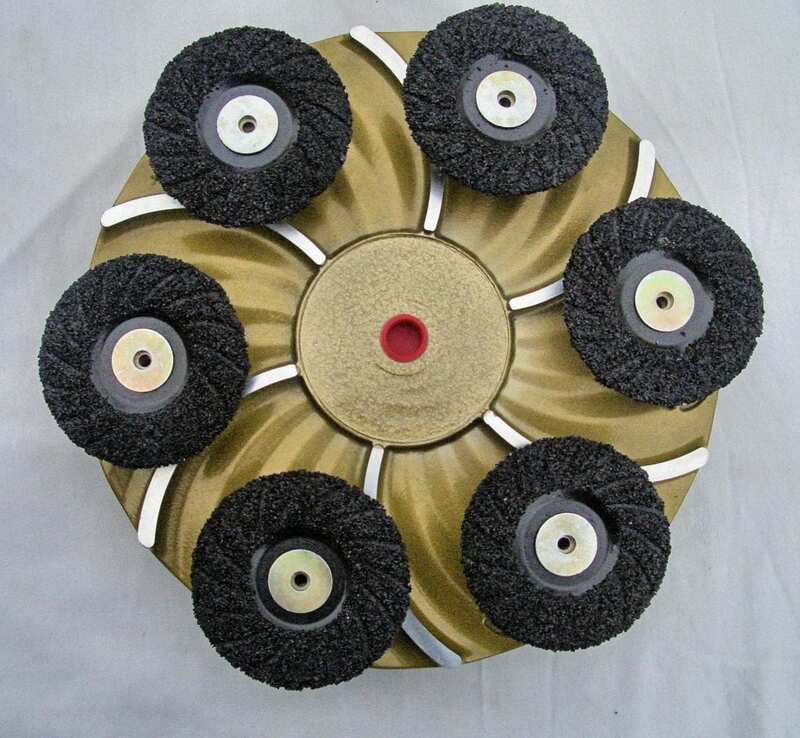 Recessed Type 27 Grinding Wheel with 7/8″ arbor. 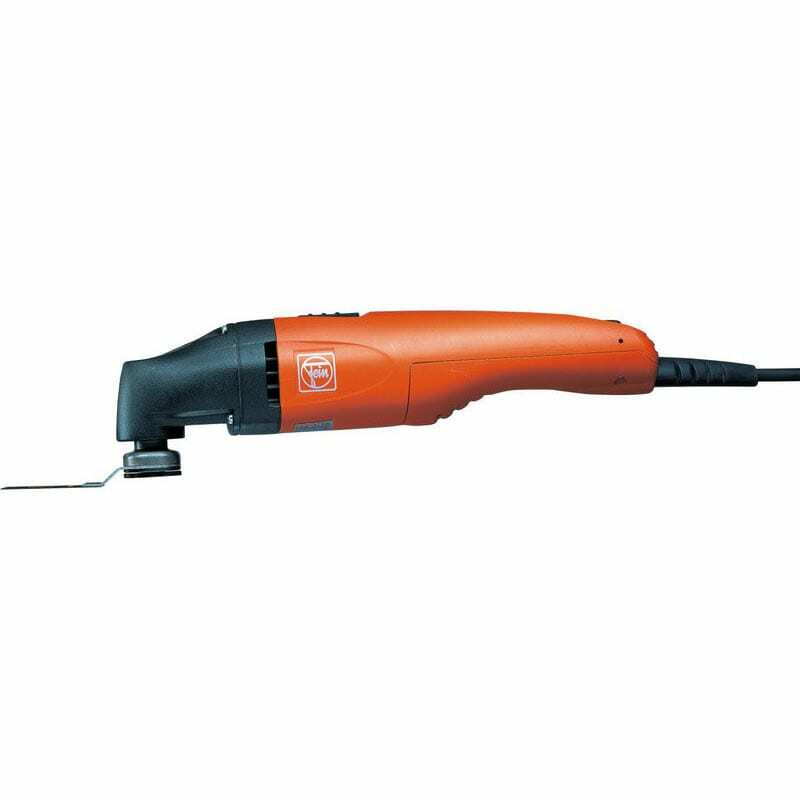 Attaches onto standard angle grinders using the grinder’s own blade clamps. paint from the concrete block on our building. We stripped about 2000 sq feet of wall down to mostly bare block. It seemed to us that we got the best results and longer disc life by running (our angle grinders) at about 3000 RPM. We ordered 10 discs and I think we only used about half. Removed thin and heavy liquid nail adhesive from retaining block walls . . . without loading the disc or melting the glue. Some of the adhesive was 1/2″ thick. We also continued grinding the concrete block for a smooth surface on the blocks . . . One wheels lasted us for days . . .
I’m sure your variable speed grinder on the 1st setting also helped . . .
Have a large floor area that needs resurfaced? 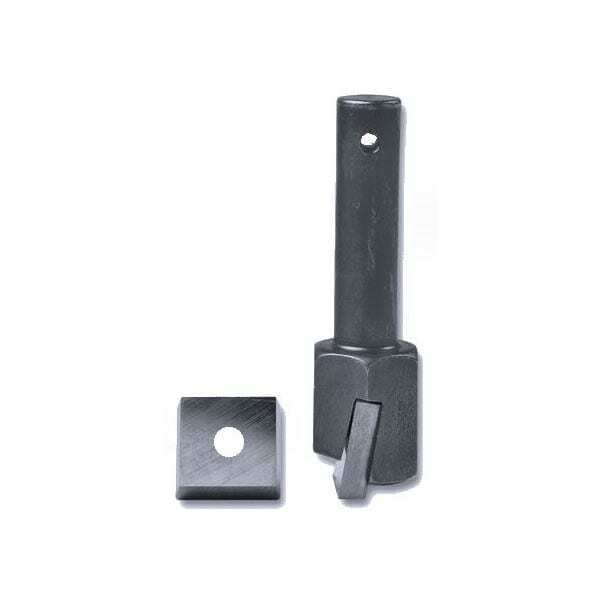 18″ Floor Plate attaches to standard 20″ floor machines. 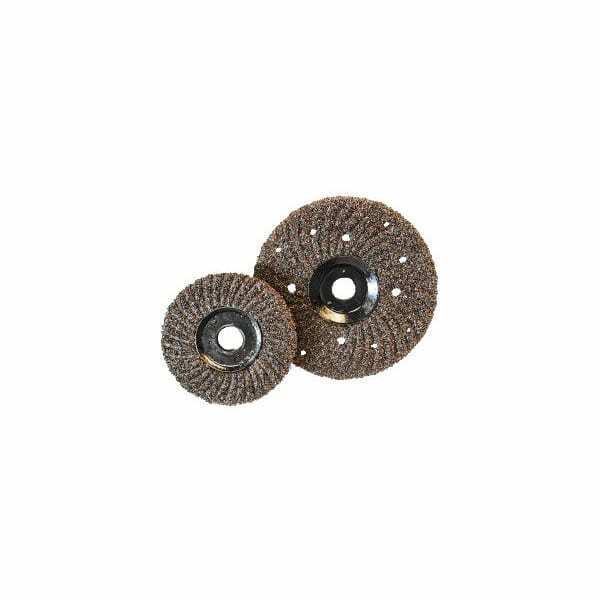 Using the same plate, you’ll also able to use standard diamond cup wheels, knotted wire cup brushes, and abrasive grinding wheels and stones.